For many times the only platform that we could use to work on graphic design was the desktop computer. However, thanks to the innovations and the development of Internet, now we have many other alternatives, such as smartphones or tablets. Due to Android’s popularity and wide range of apps, there are many apps, which can help designers to get their work done. However, choosing the right design app is not so easy, as it will take from you too much time and experience to look through hundreds of apps and select the best one for you. So, in order to make your work easier, we have selected the top 15 Android design apps, which is a great chance to increase your productivity and efficiency. With this app you can access to six tools, which give you the opportunity to color, to add some animations and to sketch. In addition, it allows you create up to 3 layers and also to manage the non transparency of many parts of your picture. Another great advantage of this app is that it allows to share the images you create in Facebook without quitting the app. Though this app is not created for experienced designers, it is a great app for those, who want to just start their designing career. If you download it, you can see that there are several tutorials showing how you can get things done with this app. These tutorials are divided in 3 levels of difficulty. A great thing about this app is that like Paperless you can share the images you create with others in Twitter or Facebook. This app is perhaps one of the most used apps by many designers and architects in order to create their projects. It’s a powerful app that lets you edit your AutoCAD drawings no matter where you are. From the name, we can conclude that this app is oriented towards a technical design. The bad thing is that it will take a lot of time from you to understand the features of this app. However, once you understand it, it will be a powerful tool for you to create drawings. SketchBook is an app which offers you a platform to create beautiful designs. 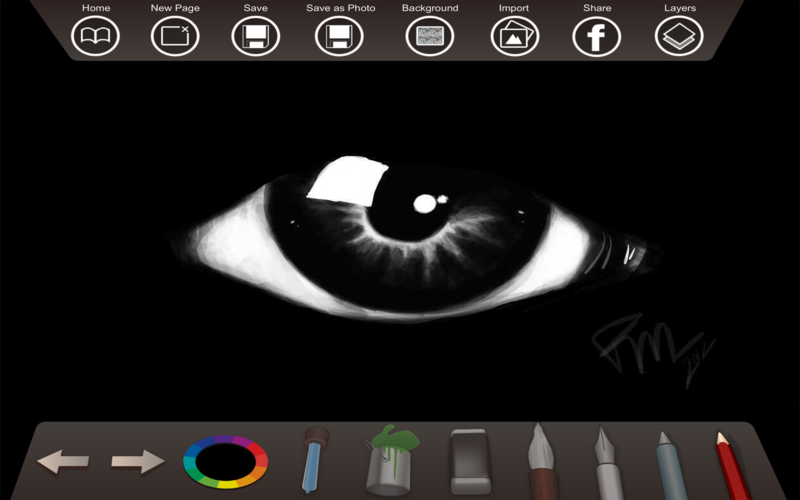 It’s designed in the same way as its desktop version, however here you can use different pencils or brushes. There are more than 100 different types of brushes and all are customizable. This app also gives you the opportunity to work in full screen with landscape or portrait orientation. Another advantage is that compared to Paperless it has no limit in layers. This app is created to help designers to draw images with high level of simplicity. You can adjust colors, brightness or saturation. There are different layers which can be blended. Moreover, you can save your drawings in different formats, such as png, jpg. It’s a vector graphic apps that lets Android users to create drawings with their smartphones and laptops. This app includes many canvas, layers and undo/redo system, different layer choices, for example, merge, flip or duplicate and 5 symmetry tools. 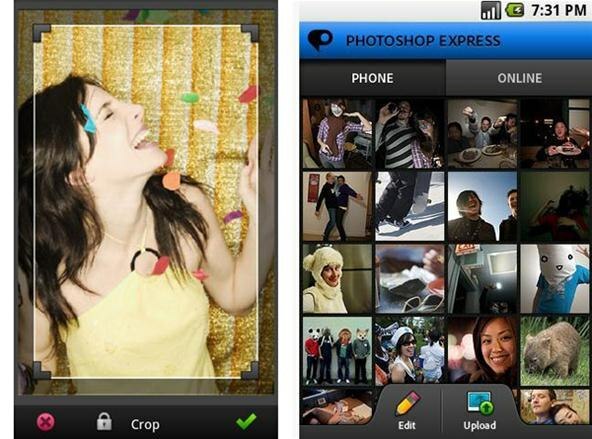 In addition, it gives you the chance to import images to the canvas and add special effects. myPantone is a great app for designers, who look for inspiration in colors for their drawings. 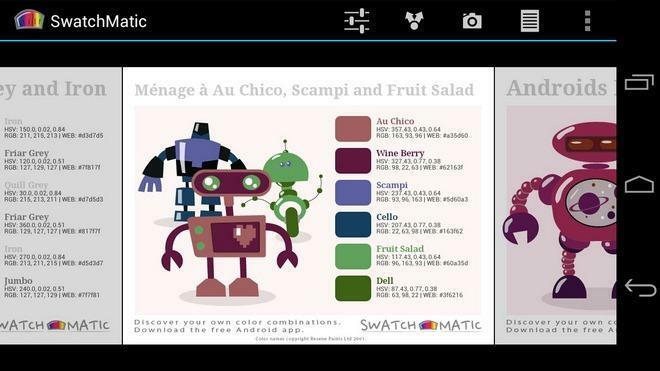 It gives the access to Pantone colour libraries directly from smartphones or tablets. Moreover, it gives the chance to export Panton palettes to Adobe Creative Suite. It’s a powerful app for typography lovers and it is a unique source for your projects. With the help of Fontly, you can take photos of many shop signs and graffitis while on the go and save them for later use. You are also able to search for other typography captured by other Fontly users. Sometimes we see a photo and we think that the colors of the photo are perfect ones and sometimes we want to use these colors in our designs. This app is a great opportunity for designers to generate color palettes from photos they chose. You can choose any photo and instantly generate a color palette from it. So here you have top 15 apps every designers should have in his/her smartphone or tablet. Have you used any of the apps mentioned above? Or do you have other useful designing apps in your mind? If so, please share them with us in the comments below.